A TOP professional with a fascinating story to tell has been booked for this season’s Under-21 Finals Day. Cuestars has revealed that Kurt Maflin (pictured) will be guest of honour on Sunday, May 15, at Jesters Snooker Club, Swindon. The world number 50 will present the trophies and play exhibition frames against all the champions. Born in London, Maflin, who is managed by Frames Academy in Coulsdon, lives in Oslo with Anita Rizzuti – herself a fine player – and their son Neon. He first turned professional in 2001 but has been on and off the Main Tour more than a few times. At one stage, he gave up playing seriously but a chance encounter at an amateur tournament in Norway changed his life. A businessman said he would sponsor him if he made a century break in the final. Maflin made a 137 in the first frame. With his interest revitalised, he won the 2006 IBSF World Championship and returned to the pro-circuit the following year. Two days after a car crash in 2010, Maflin lost a match 4-0. It transpired he had been playing with a collarbone broken in three places. But despite having a metal plate fitted, he won the European play-off two months later and made yet another return to the Main Tour. 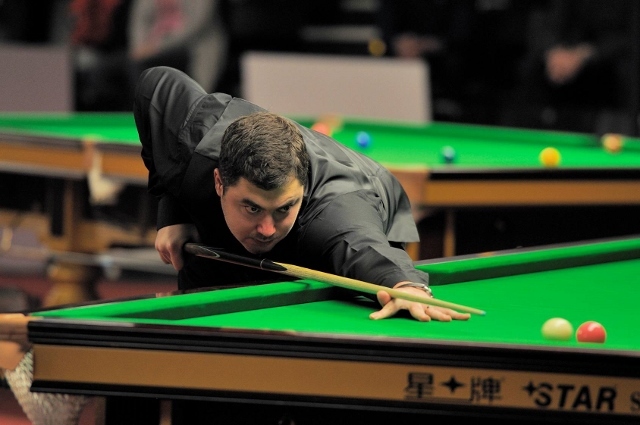 Last year, at the age of 31, Maflin fulfilled his childhood dream of appearing at the Crucible by qualifying for the TV stages of the World Championship. He lost 10-9 to defending champion Mark Selby in the first round.